Below is a list of people by the name of Estes who received Bounty Land or Pensions for Revolutionary War service. 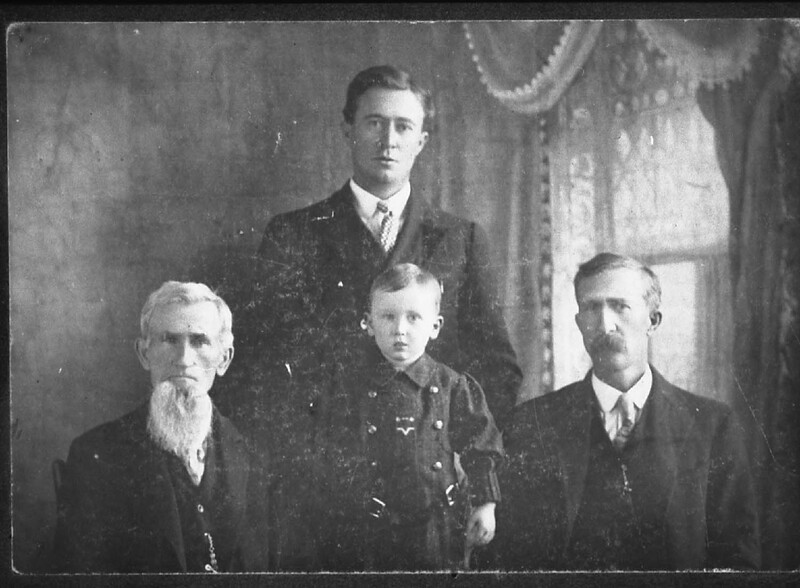 I need help identifying the family groups of each of these individuals. I will be glad to exchange information. Pensioners in Kentucky; A List of the Illinois Regiment who Served under George Rogers Clark in the Northwest Campaign; Also A Roster Of The Virginia Navy; Compiled by Ancerson Chenault Quisenberry; (1896 Reprint); Southern Historical Press, Greenville, SC (1992). located principally in the States of Kentucky, Indiana, and Ohio. To which is added a List of Non-Commissioned Officers and Privates to whom such bounties were also assigned. Compiled by A. C. Quisenberry, from the Virginia State Records, from a list prepared by Leonard S. Latham, of Chillicothe, Ohio, in 1822, and from other sources. Page 12: List of Bounty Recipients, Non-Commissioned Officers and Privates. Page 7: List of Bounty Recipients, Captains and Lieutenants. Page 10: List of Bounty Recipients, Ensigns. A List of the Officers, Non-Commissioned Officers, and Privates of "The Illinois Regiment," who, under the command of General George Rogers Clark, in an unparelled campaign, achieved the Conquest of the Northwest (from which the States of Ohio, Indiana, Illinois, Michigan and Wisconsin were formed), and held it for the United States. [Republished by permission of the Virginia Magazine of History and Biography]. ESTILL COUNTY, Revolutionary Pensioners Living in The County in 1840. CLARK COUNTY, Pensioners Under The Act Of March 18, 1818. EASTIN, ELISHA, private, Virginia Line, July 21, 1819; June 26, 1818. Age 82. [Birth date ca 1736]." Below is a list of men by the name of Estes, or a variation thereof, who served in the War of 1812. I am trying to develop additional historical information on these men and their families. Any help at all would be greatly appreciated. I will be glad to exchange information. TIA Judith Weeks Ancell Roster Of The Volunteer Officers And Soldiers From Kentucky In The War of 1812-1815, Printed by the Authority of The Legislature of Kentucky, Frankfort, KY (1891); Southern Historical Press, Greenville, SC (1992). Index To Soldiers of the War of 1812, KY EASTES, Elisha p. 69 Roll of Capt William Black's Co., KY Battalion, Mounted Volunteers- Pvt, Enlistment June Sept 18,1812- Nov 4, 1812. EASTES, Spencer p. 69 Roll of Capt William Black's Co., KY Battalion, Mounted Volunteers- Pvt, Enlistment Time Sept 18,1812-Nov 4, 1812. EASTESS, John p. 192 Roll of Captain James Dyametto's Company of Infantry of the KY Militia, Detatched - Commanded by Lieut Co. Wm. Dudley - Pvt Enlistment Time March 12, 1813 - Sept 12, 1813. ESTE, Marshall P. 76 Roll of Captain John W. Shirley's Co., Barbee's Regiment, KY Militia - Pvt Enlistment Time August 23, 1812 - 6 months. ESTER, Abraham p. 31 Roll of Capt John Edminston's Co., [Afterwards, Richard Bledsoe's Co., First Rifle Regiment, KY Militia - Pvt, Enlistment Time Aug 15, 1812-Oct 14, 1812. ESTER, Clement P. 31 Roll of Capt John Edminston's Co., [Afterwards, Richard Bledsoe's Co., First Rifle Regiment, KY Militia - Pvt, Enlistment Time Aug 15, 1812-Oct 14, 1812. ESTER, William p. 31 Roll of Capt John Edminston's Co., [Afterwards, Richard Bledsoe's Co., First Rifle Regiment, KY Militia - Pvt, Enlistment Time Aug 15, 1812-Oct 14, 1812. ESTIN, Robert P. 69 Roll of Capt William Black's Co., KY Battalion, Mounted Volunteers- Pvt, Enlistment Time Sept 18,1812-Nov 4, 1812. ESTES, James P. 126 Roll of Capt Isaac Cunningham's Co., KY Mounted Volunteer Militia - Commanded by Col. John Donaldson - Pvt,Enlistment Time Newport, Aug 26, 1813-Nov 5, 1813. ESTES, John p. 108 Roll of Capt Uriel Sebree's Co., Scott's Regiment, KY Militia - Pvt, Enlistment Time Aug 15, 1812-Oct 15, 1812. ESTES, Middleton p. 126 Roll of Capt Isaac Cunningham's Co., KY Mounted Volunteer Militia - Commanded by Col. John Donaldson - Pvt Enlistment Time Newport, Aug 26, 1813-Nov 5, 1813. ESTES, Robert p. 96 Roll of Capt William Brown's Co., Pogue's Regiment, KY Militia - Pvt Enlistment Time Aug 27, 1812-Sept 26, 1812. ESTON, Robert P. 246 Roll of Capt David Elliott's Co., KY Mounted Volunteer Militia - Commanded by Col Samuel South - Sep 18, 1812-Oct 30, 1812. ESTON, William p. 60 Roll of Capt Daniel Garrard's Co., Second Regiment, KY Militia - Pvt Enlistment Time Sept 1, 1812-Oct 1, 1812. EUSTIS, Robert p. 228 Roll of Capt Samuel R. Combs' Co., KY Mounted Infantry Commanded by Col. Richard M. Johnson - Aug 15, 1813-Nov 19, 1813. Rev. War Patriot's listed on plaque at the courthouse in Fleming Co KY. Transcribed from a photograph, some names hard to read. Any corrections or additions would be appreciated.